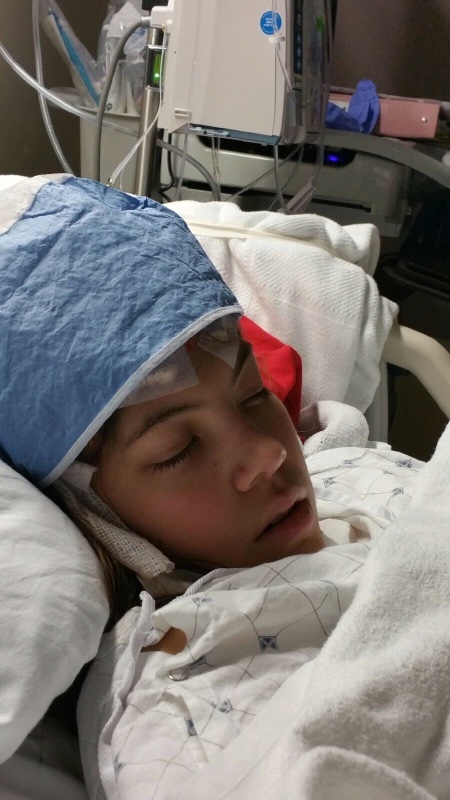 Please help my friend Claudia's family with her daughter's medical expenses. Camila is the sweetest most beautiful girl inside and out and is a freshman at the University of Maryland. She is currently in the ICU with NMDA Receptor Encephalitis and Cancer. Anything you can do to help this family during this difficult time would be greatly appreciated. Por favor ayuda a Camila y su familia a cubrir los gastos médicos, ella fue diagnosticada con una enfermedad no muy común llamada NMDA Receptor Encefalitis y Cancer, cualquier monto que tú puedas aportar será más que agradecido en estos momentos difíciles. Deat family and friends, we would like to let you know that the doctors are very impressed because after the Plasma Exchange treatment Camila it is talking again, she has problems with her short term memory but the doctors told us that she will recover 100% but it will take time, please keep her on your prayers and thank you so much for your support. Querida familia y amigos queriamos decor led wue Los doctored estan impressions dos porque despues del tratamiento de Plasma Exchange Camilita volvio a hablar, Ella esta en un process de recuperacion en el vial su memoria de corto plaza se vio afectada pero los doctores nos dijeron que recuperara 100%, tomará tiempo pero la ayudaremos en este proceso, por favor manténganla en sus oraciones t muchas gracias por toda su ayuda. Dear family and friends, today was the last day of Camila's plasma exchange treatment, we still have a long way to go but we have faith that Camila will recover, please keep her in your prayers , and thank you so much for your support. Querida familia y amigos, hoy fue el ultim dia del tratmamiento Plasma Exchange de Camila, todavía tenemos un largo camino por recorrer pero tenemos fe que ella recuperará , por favor manténganla en sus oraciones y muchas gracias por todo su apoyo. 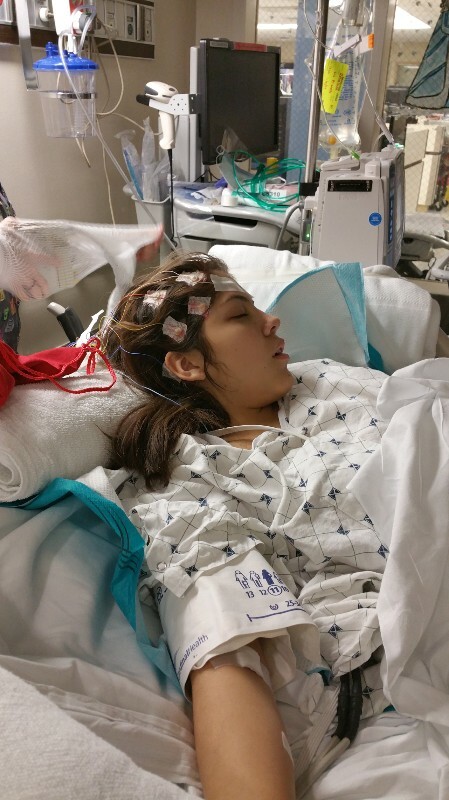 This is the second resource for her to battle the NMDA Recepthor encephalitis, please keep her in your prayers, thank you so much for all your support. Este es el segundo recurso para luchar contra la NMDA Reeptor ENCEPHALITIS que ella tiene, por favor manténganla en sus oraciones. Gracias mil por todo su apoyo. Dear family and friends, I just would like to let you know that Camila's surgery was canceled because she has fever and they trying to avoid any infection, please keep her on your prayers and we will keep you update. Querido familia y amigos Quercia secures que la city via de Camila se suspension porque esta con fiebre y los doctores quieren evitar alguna infección, manténganla en sus oraciones por favor y les diremos cuando sera la operación, gracias. Camila today one of the doctors I work with donated by checthe, Dr. Anita Solomon and sang a Hebrew song of healing over you. "Micha beiach"
Kelly Kathryn, the Lord will never give you more than you can bear. If you feel you have to cry to get it out, it's okay. Jesus said "Blessed are those who mourn for they shall be comforted." "God is our refuge and strength, a very present help in trouble." -Psalm 46:1 Keep fighting! The UMD family is with you! Please let me know if there is anything else I can do.. 3 John 1:2 - Beloved, I wish above all things that thou mayest prosper and be in health, even as thy soul prospereth. How is Camilla doing now? We are praying for her! I am so happy to hear this good news. Please let me know if there is anything else I can do to help your family. 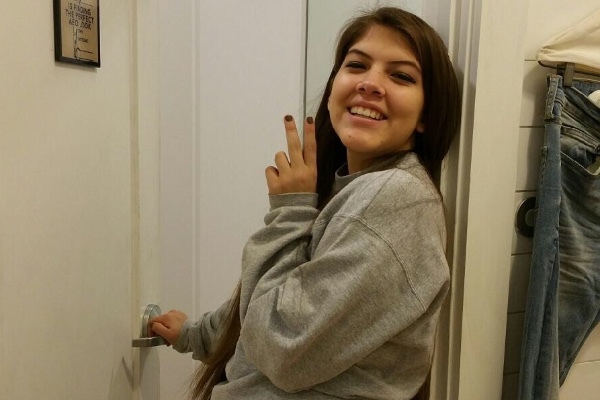 Claudia and Sergio, The BSO community and ECS are praying for a full and speedy recovery for Camila. We pray for healing and a cure with abundant kindness, graciousness, and compassion. Wishing both of you strength during this very challenging time. Rene, we are still praying for your niece. I will be making my donation to her today. Please let me know if there is anything else you need. Do you have a caringbrridge page so we can see updates on Camila's health.sending prayers for a full recovery. Camilla, my wife, Jessica, and I are praying for your speedy recovery. We will be making a donation on Tuesday (payday). Hang in there Rene, the Lord has His hands on her. "Fear thou not for I am with thee. Be not dismayed for I am thy God. I will strengthen thee. Yea, I will help thee. I will uphold thee with the righteousness of my right hand." Isaiah 41:10 As my grandmother the late Evelyn Holmes would say "Hold on old soldier." You are special to Victoria Nelson which makes you special to me! Prayers sent up! We are praying for Camila and all of you. Please let us know if there is anything we can do. Drive Sergio anywhere, etc. We love you and are thinking of you! I've tried to be strong, but today after seeing this I can't stop crying. The fifth grade at Forcey Christian School has been praying for her regularly. We had a bake sale to help any way we can. We hope she gets well soon.